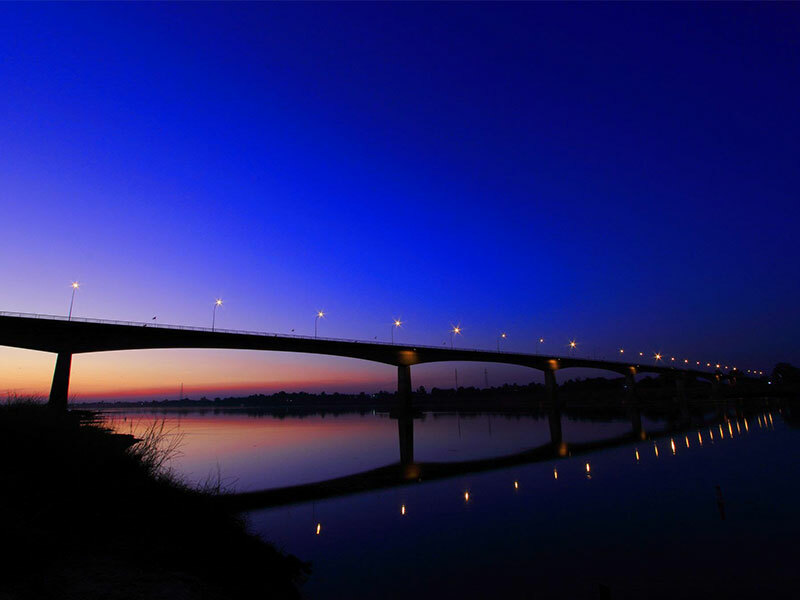 Discover Vientiane in greater depth with visits to lesser known attractions in the capital’s outskirts. 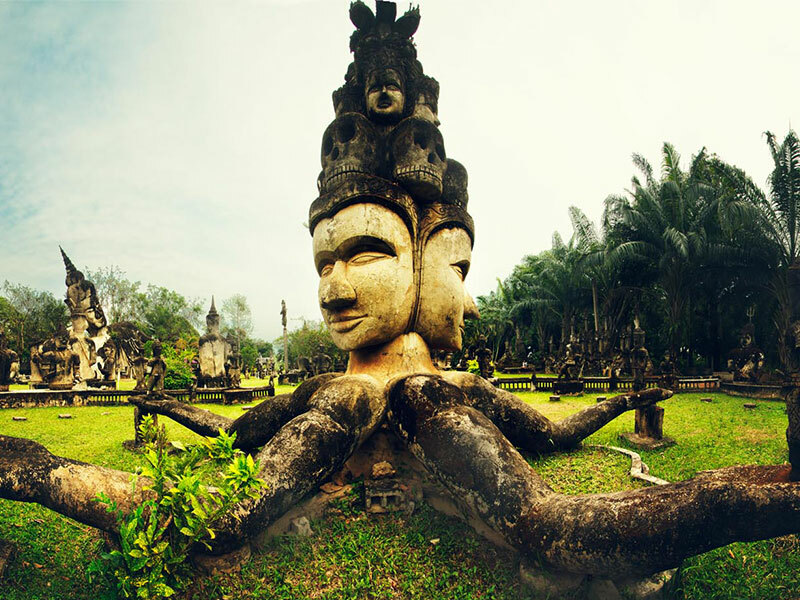 Besides exploring Buddha Park, which showcases an eclectic collection of bizarre Buddhist sculptures, this half day trip also goes to a local weaving center and handicraft enterprise staffed by disabled women. You will be rewarded with a deeper insight into the local livelihoods and unique traditions of Laos. 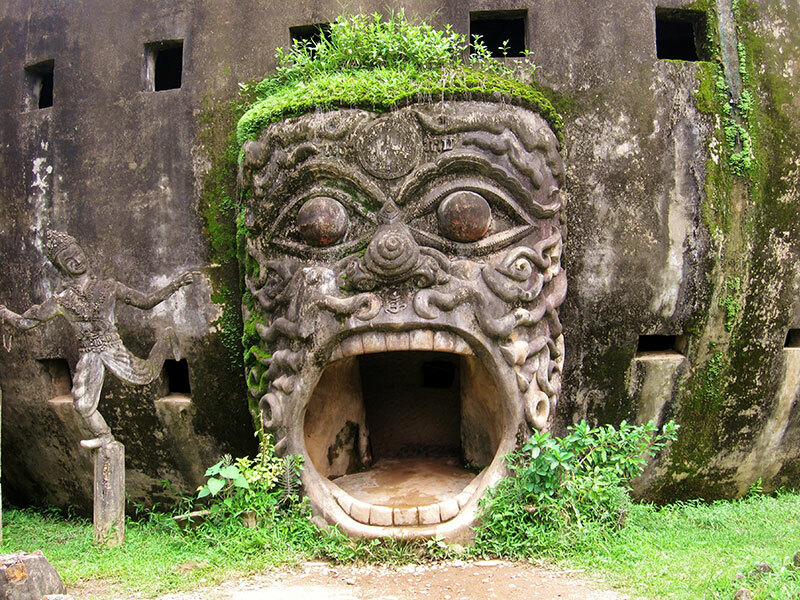 -	Admire the park with over 200 Buddhist and Hindu statues. -	Explore traditional textiles and weaving. -	Get learning from disable women who always try to overcome the fate to gain the independence and self confidence. Your guide will pick you up at your hotel in Vientiane (0900 or 1400). 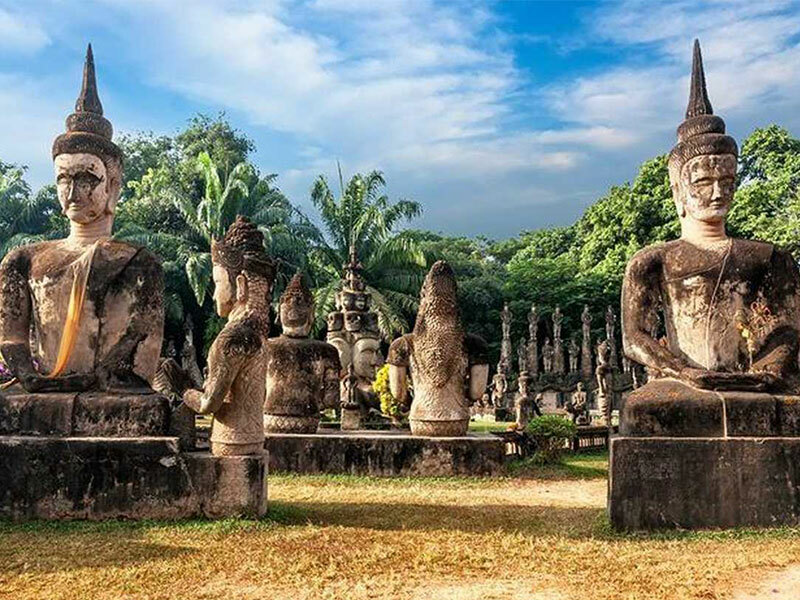 Pick up at hotel & take a 45 minute drive to Buddha Park, along a road which serves as an important link between the Lao capital and Thailand. On the way, stop and take photos of the Friendship bridge which was built by the Australian government in 1994 and links Laos and Thailand. 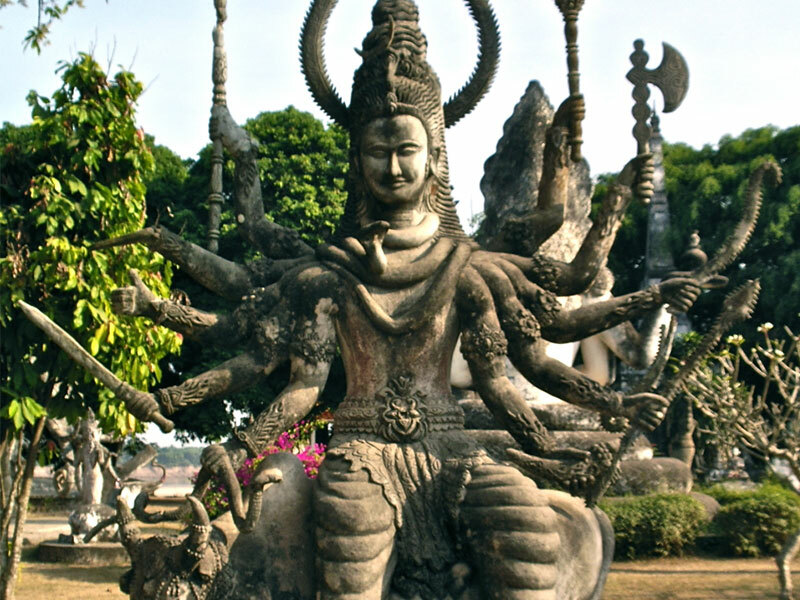 Arrive at Buddha park and enjoy a stroll around the park. 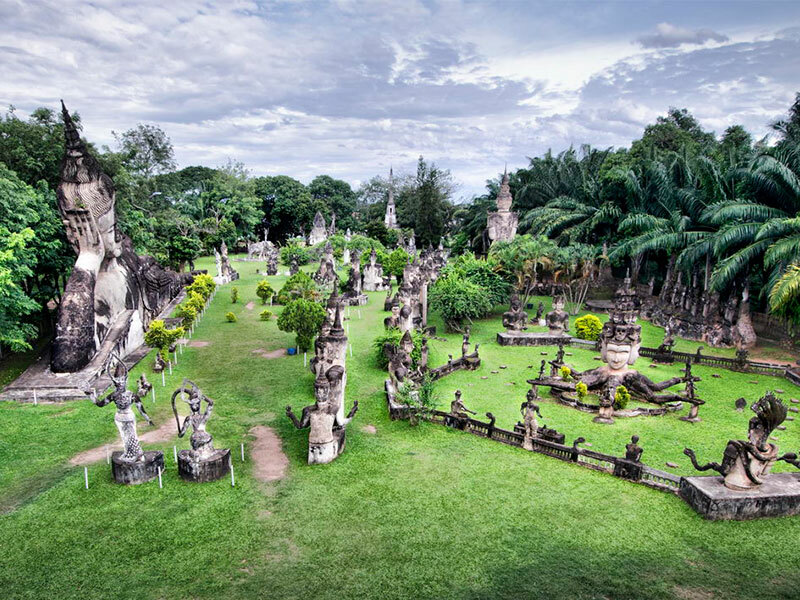 Also known as Xieng Khuang, this unusual park is filled with over 200 Buddhist and Hindu statues. 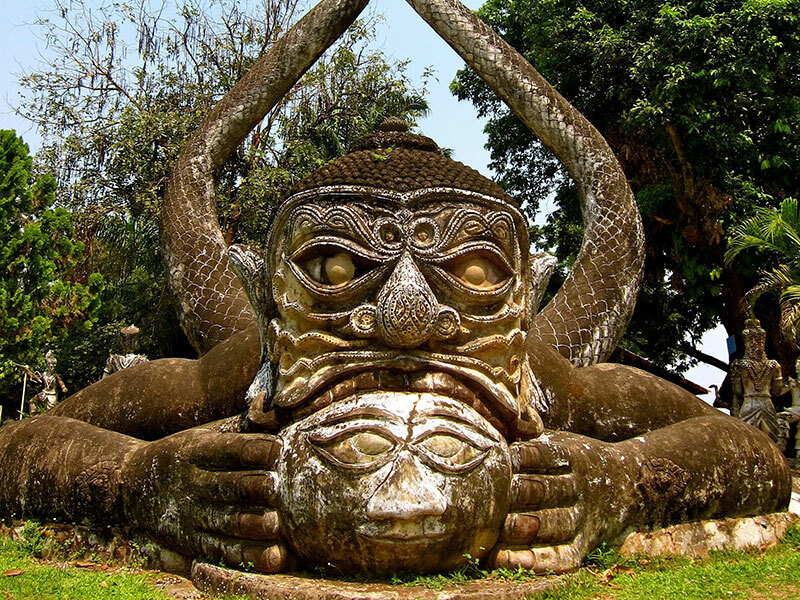 The quiet and tranquil setting along the Mekong river is a contrast to the slightly eccentric sculptures which were built in 1958 by a Lao shaman. The concrete sculptures are bizarre but intriguing, sitting majestically in the peaceful park. After visiting Buddha Park, start the drive back to Vientiane. En route, stop at Mai Savanh to explore the traditional textiles of the Lao people. This shop specializes in high quality silk products and involves several families in the process, from the northern province of Luang Nam Tha and the southern provinces of Attapeu and Sekong. (Note: Mai Savanh is closed on Saturday & Sunday). Another stop will be made at the Lao Disabled Women Development Center. This center aims to bring knowledge and skills to disabled women so that they can become self-sufficient, productive members of the community. The center focuses its efforts on helping people with disabilities gain independence and self confidence. A visit to the center provides you with the opportunity to talk to these women and to observe their skill at creating handicrafts such as hand made paper. (Note: Subject to change without prior notice from the suppliers).